Gender-neutral clothing is becoming more and more common — stores such as UNIQLO, American Apparel and Opening Ceremony regularly offer unisex garments — but underwear remains very much a gendered product. For post-op transgender people, this leaves very few options. 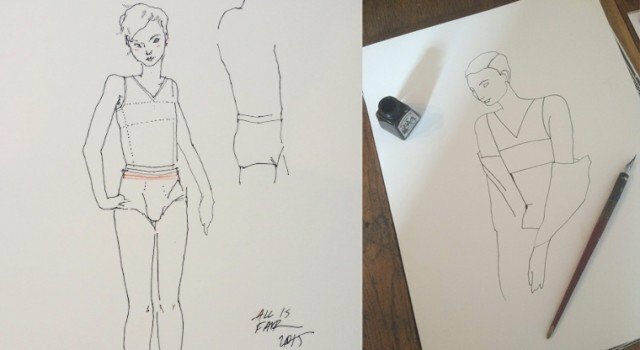 Now, All is Fair in Love and Wear is a new underwear line designed specifically for those who are transitioning, to give them a more stylish, comfortable alternative. All Is Fair is the brainchild of lingerie store owner Peregrine Honig, who launched a collaboration with designers Miranda and Laura Treas. The high quality range includes four binders which help flatten the chests of those transitioning from a woman to a man. There are also tuckers — male-to-female underwear to create a more feminine look, packers — female-to-male underwear for masculine forms, and waist cinches. The ‘middle wear’ range completed a successful Kickstarter campaign in the summer and will go into production in December. The first product is set to be the Boy Friday binder, which is made of high quality Lycra for comfort. 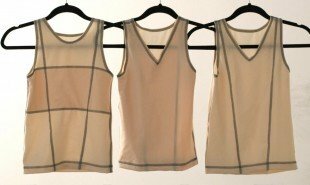 Are there other garments that could be adapted for those who don’t fit neatly into either mainstream gender? The post Gender-neutral ‘middlewear’ for people in transition appeared first on Springwise.